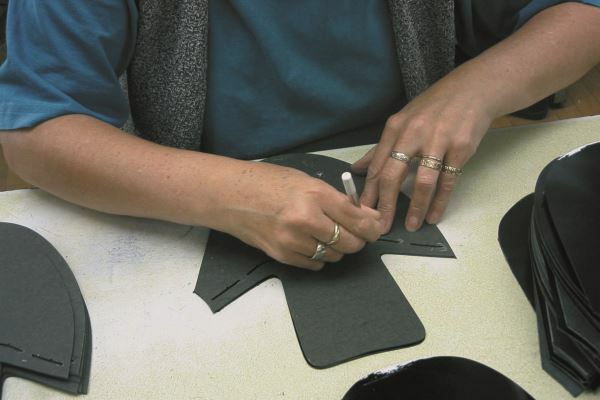 SATRA is organising a two-day course in Kettering, UK, entitled 'Basic shoemaking step-by-step', on four dates during 2019: 10th and 11th April, 26th and 27th June, 25th and 26th September, and 4th and 5th December. This event will explore the main footwear materials, product types and manufacturing operations in a simplified way, and will be presented by SATRA's own specialist staff. The programme is intended to give a broad appreciation of footwear production and has been designed for both manufacturers and non-shoemaking personnel. These will typically include shoemakers, leather tanners, material suppliers and buyers, as well as sales and administrative staff. Using actual shoemaking materials, examples of product types, printed handouts and videos, the tutors will explain and discuss the major aspects. A visit to a manufacturing unit is also included. Topics covered in the course will include fitting, upper and lining materials, soling materials, constructions, adhesion, consumer complaints and performance standards. Please click here for further information and to reserve your places. This article was originally published on page 4 of the February 2019 issue of SATRA Bulletin.